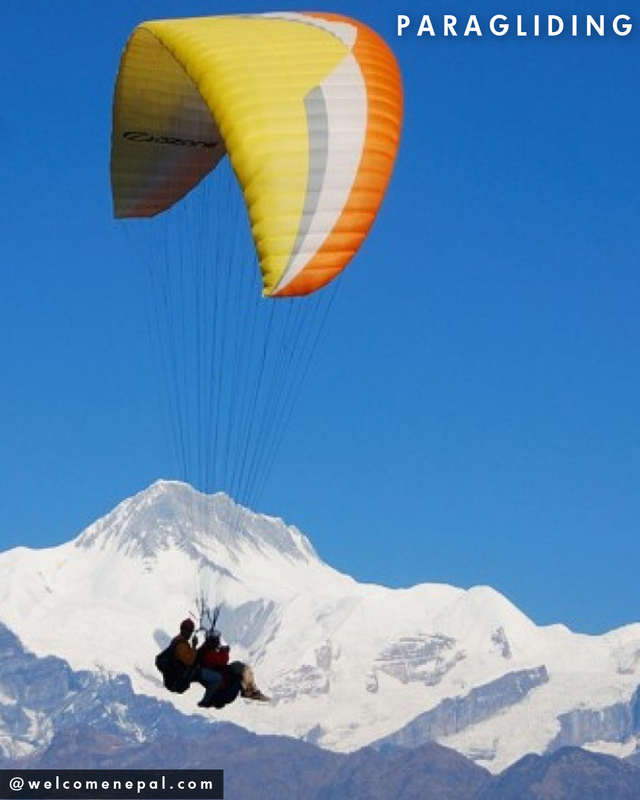 Pokhara is one of the best places around the world to paraglide. Operators usually offer 15-20 minute long flights for 10,000 NPR and 30-45 minutes ‘Cross-Country’ flights for 13,000 NPR. All flights are tandem and all you have to do is sit tight and enjoy the scenery around you. The pilot can also take pictures of you flying which can be purchased for about $20 after the flight. Several of Nepal’s major rivers run around Pokhara, thus making it one of the top rafting destinations. Rafting here can be of a wide variety depending on the time you have at hand. Starting from half-a-day, the rafting expeditions can go up to several days down the Kali Gandaki, Marsyangdi, and the lower Seti and can take you all the way to Chitwan National Park! 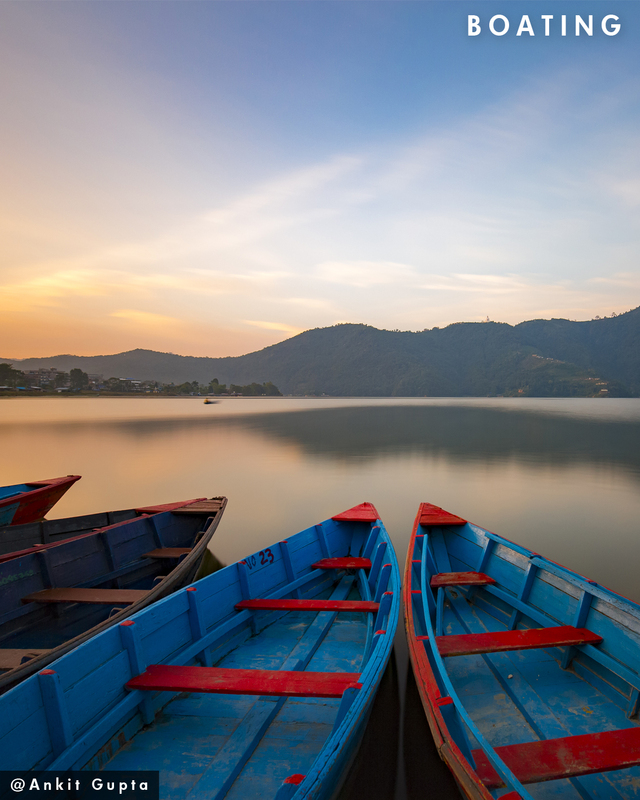 Although boating is possible in all 3 major lakes of Pokhara, Phewa lake is the most popular one for boating. The best way to cross the lake is by the brightly painted wooden boats (dunghas). You can either paddle them yourself or hire a local oarsman to paddle. Since there are no rickshaws and auto-rickshaws in Pokhara, the best way to go around the town is by hiring a bicycle of your own. If you wish to ride up any hill such as to the Peace Pagoda or Sarangkot, hire a good quality mountain bike. 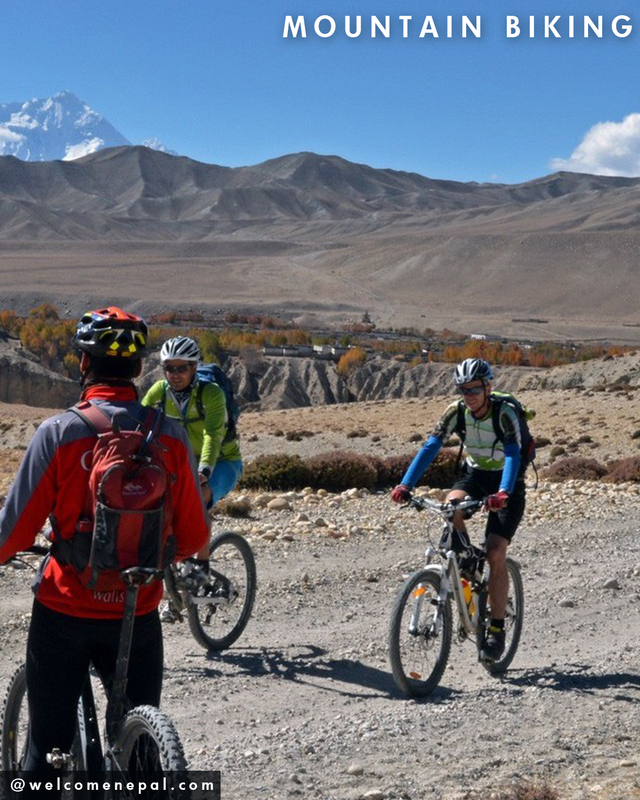 The hilly terrain in and around Pokhara is perfect for traversing with a mountain bike. 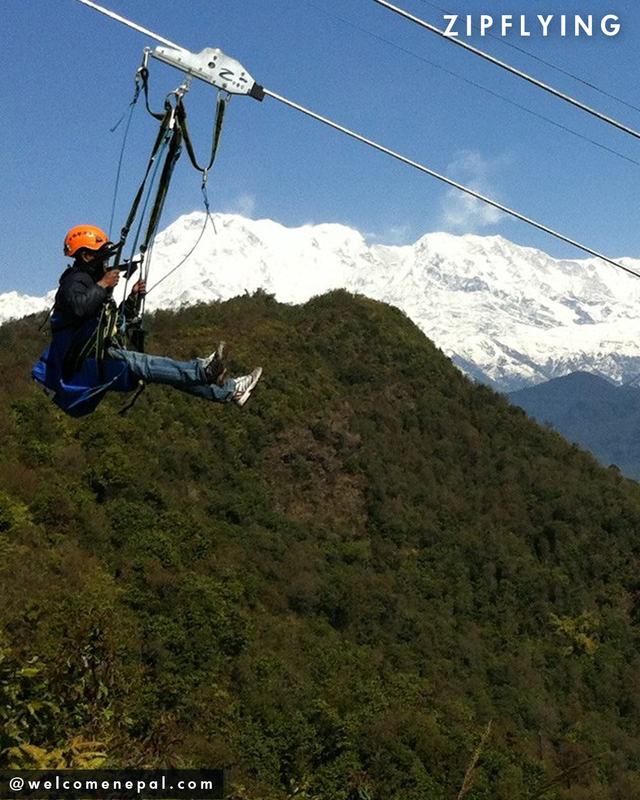 One of the highest Zip-Lines across the world, the Zip-Line in Pokhara is 1.8 Km long and has a 2000 feet vertical drop. It takes you to insane speeds, up to 120Km/h, all in the span of 2 minutes! But it is long enough to catch a glimpse of the mighty Himalayas in front of you. In addition to the abundant natural beauty, Pokhara has an exciting nightlife. The vibrant bars and pubs are open until midnight. A lot of them overlook Phewa lake, making them the perfect setting for party or relaxed evenings with a drink. You can also enjoy several Western music and Nepali cultural shows here. Pokhara is a trekker’s heaven. If you too are mesmerised by the Annapurna peaks, Pokhara is the place to be. Both, the Annapurna Circuit Trek and the Annapurna Base Camp Trek, start and end here. Every trekker requires two permits to trek in the Annapurna region though- the Annapurna Conservation Area Permit (ACAP) and the TIMS card (Trekker’s Information Management System). 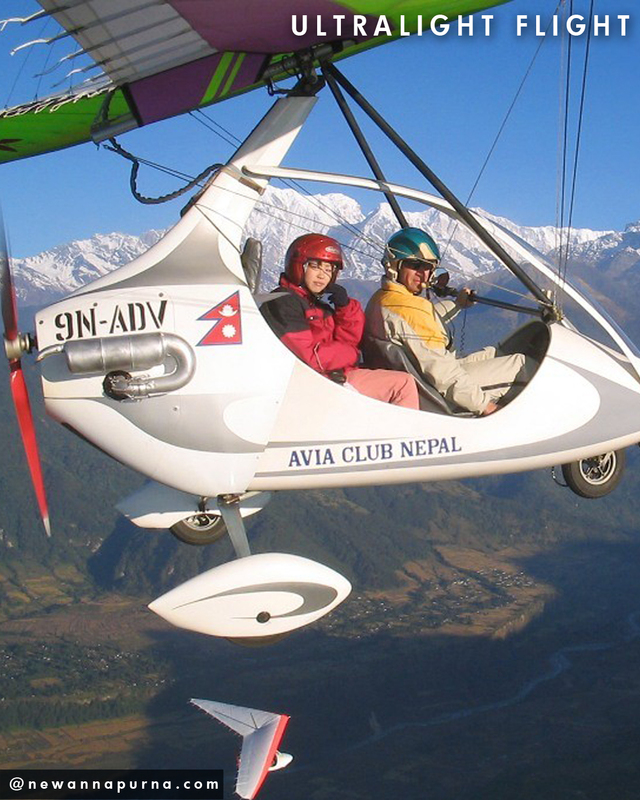 Pokhara Heli Services offers Annapurna Base Camp Heli Landing tours and Pokhara Aerial Tours. 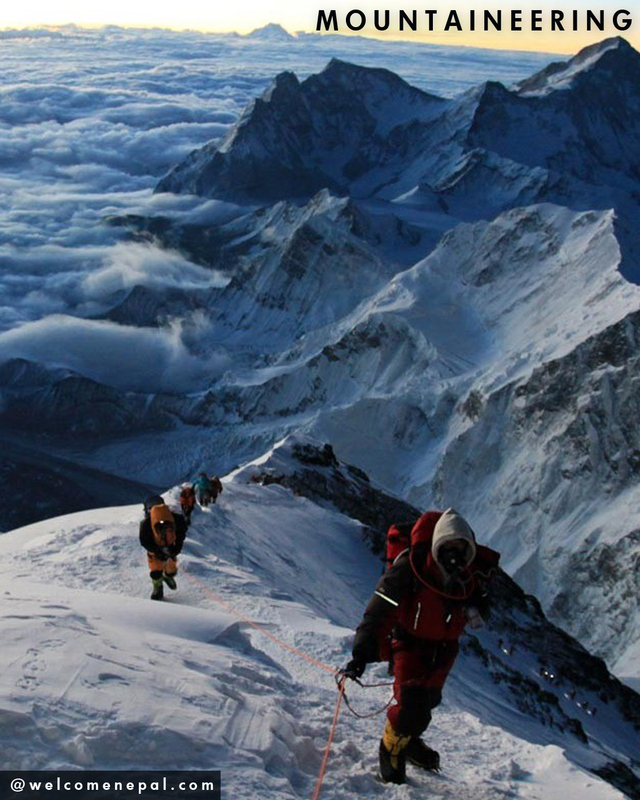 Adventurous and breathtaking as they are, these tours can be very pricy. They can be booked in groups and the costs can go up to $350 per person.